+ 7" touchscreen with bluetooth, Apple Car Play and Android Auto. Handling: Responsive. Pushed around by wind. Did not feel comfortable going around corners. Acceleration: No great. One of my slower rentals. Cabin Noise: Bad. Really bad. But that's to be expected since it does have a removable roof...and doors. 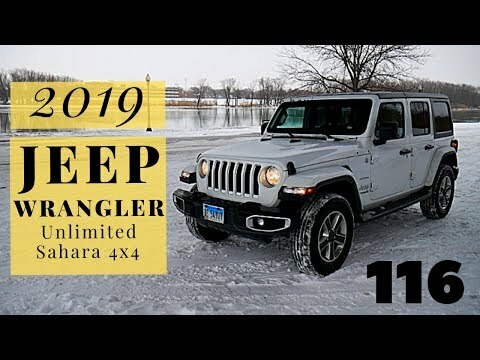 Final thoughts: I'm a big fan of the 2019 Jeep Wrangler, but I'm not sure I could make this my daily driver. It's fun, for me at least, because it's so different from all the other SUVs and sedans I typically drive. But this the Wrangler isn't very user friendly. It's difficult to get in and out of, the cabin noise is awful, and the acceleration isn't good. Don't get me wrong, there's a TON of things to like about the Wrangler, but - for me - this is a fun weekend type car. Not an every day car. Which means, it's a PERFECT rental. And I really hope I get it again soon. Hello! This one was a challenge to film. It started raining/sleeting while I was filming so I had to finish it up under a bridge. 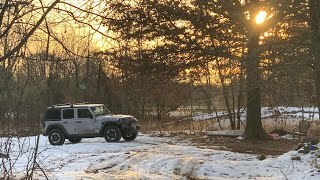 Anyway, I really like the Wrangler, I'm just not sure I'd want it as a daily driver...unless I lived in the middle of the woods somewhere and needed some serious 4x4 action to get to my house. Needs an inline turbo 6 and about 335 hp.It’s a heavy vehicle to push around. Not sure you have entirely grasped operating the 4x4 ratios. Jeep must be having a laugh! save your money. 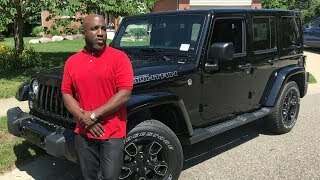 from one jeep owner to the next, don't buy. sand left in the motors from the factory, coolant heater core problems, cracked heads, cracked blocks, if your lucky warranty will cover it al, at 99,500km im getting an entire motor swap, then trade it and running from the Big 3 who got bailouts just to shaft the consumer with junk. leaks from the soft and hard tops, feeling ripped off. i traded a mazdaspeed with zero issues at 100,000km and what a mistake that was, going back to an import....that gets made here in Canada/usa, lol. This isn't a Jeep CJ. Tippy on corners???. Not at all. 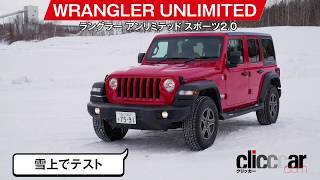 Very stable, All reviews rated the JL as very stable and it has been stable since it became the Wrangler in 1987. Now with all the handling control, stability control, anti-lock brakes, low and high speed automated collision braking, etc. etc. I had a 2012 Corvette Grand Sport and this has very peppy strong acceleration. I stopped watching at 2:33. This review is already inaccurate and annoying. For this being a Sahara model it seems to be a lower end Sahara. Sorry, but this is not a proper review, no better than what you would get from the person handing you keys at the pick up counter. You should really know what you are driving BEFORE you proceed with your review. Ha, thanks. I think it's the mic I use. Did I not mention it in my review? I usually do around the 2 minute mark. It has the engine auto off and on design flaw. I returned my test drive after less than a kilometer of driving. I know I can push the button that bypasses the engine off and on design flaw. But I am not going to pay for something I hate and that will reduce the engine life of the vehicle. 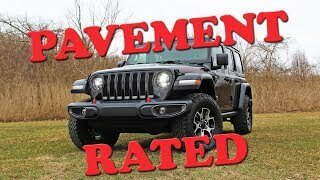 Does a Jeep review... doesn't know how to use 4x4. Yea I'm going to take this opinion seriously. 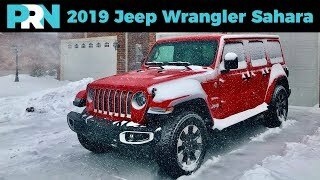 9:31 2019 Wrangler with a broken armrest bottom !?! No reflection on the reviewer, but he told us what he did with the shifter. That's what you get when there are multiple drivers for a vehicle no one owns. They don't read the manual! I like how responsive the android control system is when you touch it. Previous ones were a complete mess. Awesome video. Thanks. Even the cost of gas you spent. And how to drive the Jeep. I don’t know how to work the shift for the 4 low 4 high etc. lol. You can go into 4-high while the vehicle's transmission is in drive and rolling. When you want 4-low, you always have to have the transmission is neutral. Rolling just slightly, helps the gears shift into 4-low. You never want to force it! 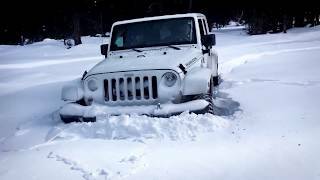 And never use 4 wheel drive on dry pavement; it's bad for the transfer case and tires. I would expect someone that reviews the product would know it's features well enough to discuss them and correctly describe their functions. There's too many gaffs in this review. 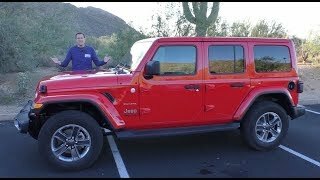 As well, when reviewing a Wrangler, the reviewer should know that these vehicles aren't luxury vehicles. They won't equate to any sedan...they're essentially trucks and should be treated as such. Gotta compare apples to apples. Great review man. I appreciate admitting your mistakes on camera it really says alot about your character. You buy this car to go on adventures so its crazy to expect it give you a BMW ride.Cheers and Thks. 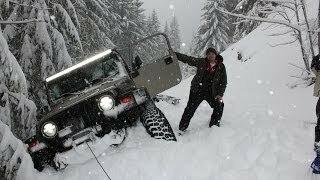 4 high is shift on the fly.. just pull the 4x4 handle back while driving as you normally would on sketchy roads. 4 low is as you explained. Idiot! I want to know how the Jeep handles, not the interior design and appointments. I gave up after four minutes. 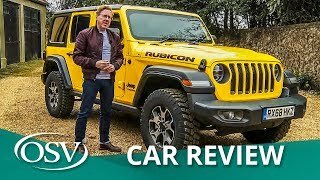 this is faster than half of the cars you've reviewed.. you have to put your foot into the thing before you can complain about the power it "doesn't have" .. 0-60 for the 3.6/8 speed are high 6's low 7's in non rubicon trim. Leave out your assessment of the vehicles power if you're not actually going to test it. Same with the video on the new Malibu.. the tach barely swings over 3k as you get onto the highway and you say it's slow. Manufacturers tune cars these days for fuel economy. to feel the power and override the efficiency algorithm, the pedal has to get close to the carpet. would appreciate more accurate acceleration on video if you're going to be judging acceleration. Thanks Jake! And don't hold back. I really do appreciate the feedback. +100 Rental Cars Subscribed. Thank you! I appreciate the criticism. I'll try pushing my next few rentals harder when testing the acceleration. And I'll try to be better at explaining when I say a vehicle is slower than I expected. Cheers! I have a Rubicon, but I asked the dealer to install Sierra sidesteps on it. The puzzled look on his face made me replay in my mind what I had just said. I chuckled a little when I heard you make the same easy mistake. Did I say "Sierra"? Jeez, I didn't catch that when I reviewed the final edit of the video. Thanks for pointing this out. 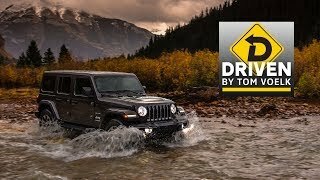 I keep looking at these Jeep reviews just to see if Jeep is listening to their customers. I own an FJ Cruiser and its nice to see the differences. 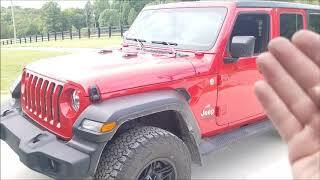 I'm surprised that "hood flutter" is still a problem with Jeep because you can get rid of it with a 3rd party latch. 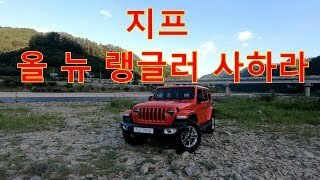 But why hasn't Jeep improved it? I'll keep my FJ Cruiser forever. 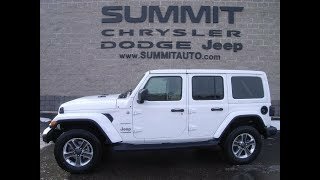 6 cylinder 260hp comfortable seating for 5, nicer looking, better and more solid roof rack, 4x4 more than capable, pulling capacity of 5,000 lbs, a rock out stereo with some serious volume, bluetooth audio as well as phone, rear view camera, audible reverse sensor, ride is solid & luxurious and after 4-1/2 years an engine that will break in around 200,000 miles. Now we're looking at getting a 2019 RAV4 to sit side by side with the FJ and that is exciting. 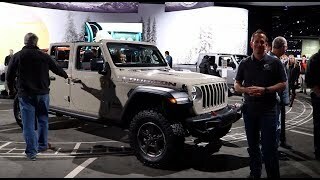 Jeep gladiator is what im waiting on. 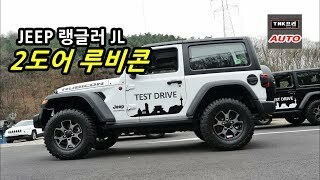 @breeze: Too bad they still don't make that FJ Cruiser. Yeah, I think I explained the 4x4 controls poorly. Sorry about that. 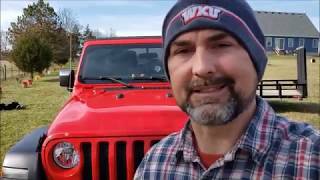 If I get another Wrangler I'll try and film a better explanation. And thanks for pointing this out. It really does help me improve. Cheers!